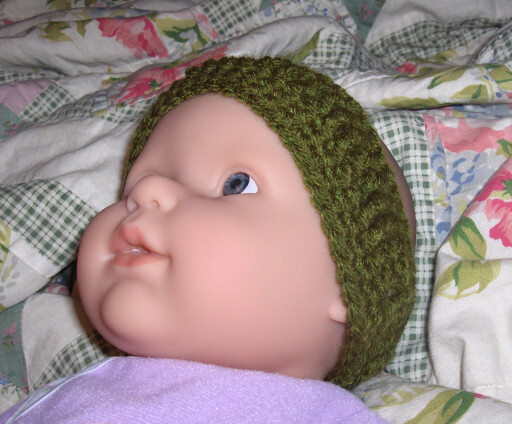 If you have cold ears then it’s time to whip up this cozy head band to cover them up. This pattern can easily be made in any size and with any yarn. 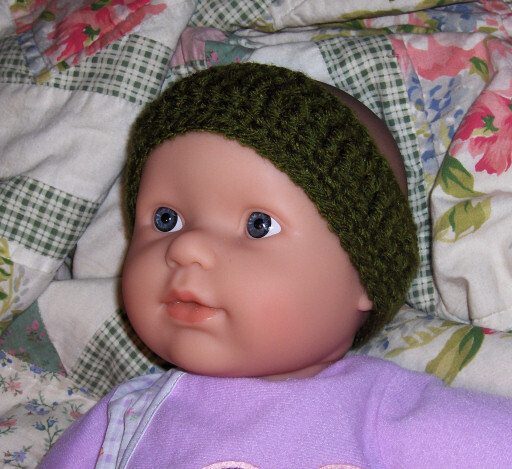 The ear warmer in the images fits a child’s head of 14″ and took about an hour to complete. Plenty of time left to make more for every member of your family! Measure head across forehead, ears, and base of neck. Yo, insert hook around dc from front to back, yo, pull loop through, yo, pull through two loops on hook, yo, pull through both loops on hook. Using head measurement made above, make a ch long enough to match, making sure to increase by a multiple of 4 sts. Join with sl st making sure to not twist the ch. Ch 1 (does not count as a st), sc in first ch and in each ch around, join with sl st to first sc. Mark last sc. Ch 1, sc in first sc and in each sc around, join with sl st to first sc. Move marker up to mark last sc. Ch 3 (beg dc), skip first sc, dc in next sc and in ea sc around, join with sl st to third ch of beg dc. Move marker up to mark last dc. Ch 3, skip first sc, dc in next dc, *fpdc around next two dc, dc in next two dc,* repeat from * to * around ending with two fpdc. Join with sl st to third ch of beg dc. Move marker up to mark last dc. Note: If the ear warmer is too narrow for you, repeat round 4 one or two times to increase the width to your liking. Ch 1, sc in first dc and in each dc around, join with sl st to first sc. Move marker up to mark last sc. Ch 1, sc in first sc and in each sc around , join with sl st to first sc and fasten off.